The FDA said it has received several reports of blood donors who have used products such as K2 and "spice" contaminated with an ingredient in rat poison. 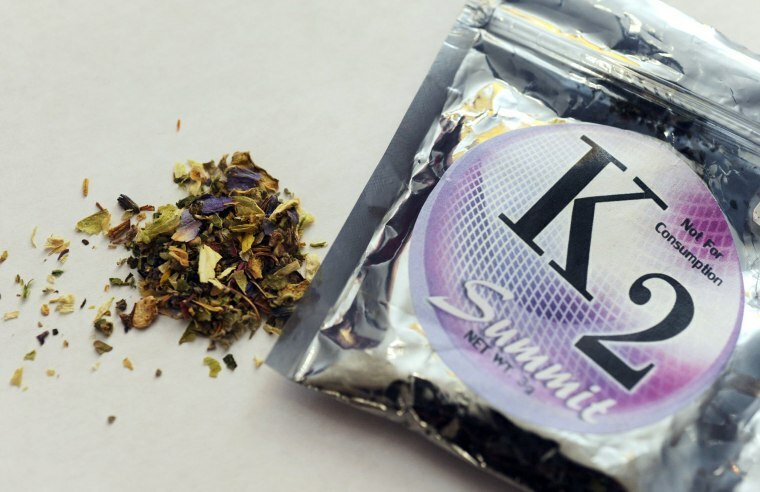 Synthetic cannabis products such as K2 and “spice” are being contaminated with a rat poison ingredient that threatens not only people who use them, but also the blood supply as a whole, the Food and Drug Administration said Thursday. Hundreds of people in 10 states have shown up in hospitals with symptoms such as severe bleeding and seizures after using such products, the FDA said. Officials in Washington are checking into four deaths that may be linked with such products, The Washington Post reported Wednesday night. The Centers for Disease Control and Prevention and the FDA have been warning about the dangers of these illegal synthetic marijuana products. “But despite our efforts, certain entities continue to bypass state and federal drug laws by making and distributing these products — often marked or labeled as ‘not for human consumption’ —– and changing the structure of the synthetic chemicals to try to skirt legal requirements,” the FDA said in a statement. The synthetic marijuana products are bad enough on their own, the FDA said. “Generally, these products have been known to be associated with adverse effects including rapid heart rate, vomiting, violent behavior and suicidal thoughts, and an increase in blood pressure, as well as causing reduced blood supply to the heart, kidney damage, and seizures,” it said. Adding the brodifacoum makes them worse. “Like other rat poisons, brodifacoum interferes with blood clotting,” the FDA said. Because brodifacoum is long-acting, it can stay in the blood for weeks. “The FDA has received several reports of (blood) donors who used synthetic cannabinoids contaminated with brodifacoum,” the agency said, risking the blood supply. It said emergency rooms, doctors and first responders should be aware that patients with unexplained bleeding may have used one of the contaminated products. Swift use of vitamin K can save lives, the FDA said. “Individuals who have possibly used synthetic marijuana products should be vigilant for signs of bleeding. These include easy bruising, oozing gums and nosebleeds. People experiencing these symptoms after using synthetic marijuana products should immediately seek medical attention, as the effects of brodifacoum are treatable,” the FDA advised.